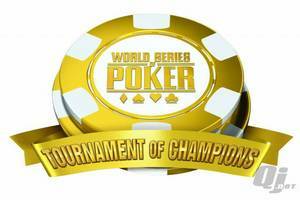 The 27 player Tournament of Champions was designed for a number of reasons, and one of the major issues was how to run the tournament without interfering with the rest of the World Series of Poker schedule. The idea tournament officials settled upon was to have two 4-hour days of play. This would create the final table of 9 players and then reconvene on July 4th to finish the tournament and crown a champion. Well, after the two days of play there was a problem: 17 players, not 9, were still remaining! So, after a lot of debate tournament officials and players have decided upon a long day of play on July 4th; all 17 players will return at 10am on July 4th and play until a champion is crowned. This entry was posted on Wednesday, June 30th, 2010 at 7:48 am and is filed under Poker News. You can follow any responses to this entry through the RSS 2.0 feed. You can leave a response, or trackback from your own site.